An exhibition at Drake University’s Anderson Gallery reveals the Iowa connections to three pioneering minds in modernist architecture. 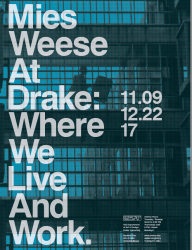 Mies | Weese at Drake: Where We Live and Work features previously unseen work by renowned architects Ludwig Mies van der Rohe, Harry Weese, and Ben Weese, who collectively designed five buildings on Drake’s campus. The exhibit, which runs Nov. 9 through Dec. 22, contrasts the architects’ visions for their buildings with the memories and traditions of those who have inhabited them. Free public events associated with the exhibition include a gallery opening with remarks from the curators on Nov. 9; a panel discussion on current building projects at private colleges and universities in Iowa on Nov. 11; and lectures on the work of Harry and Ben Weese and Mies van der Rohe on Nov. 16 and Dec. 7, respectively. The exhibition is the result of a collaboration between Lyons and Drake students enrolled in a curating course. Students are involved in all aspects of the exhibition including selection, research, writing, design, installation, and public outreach. 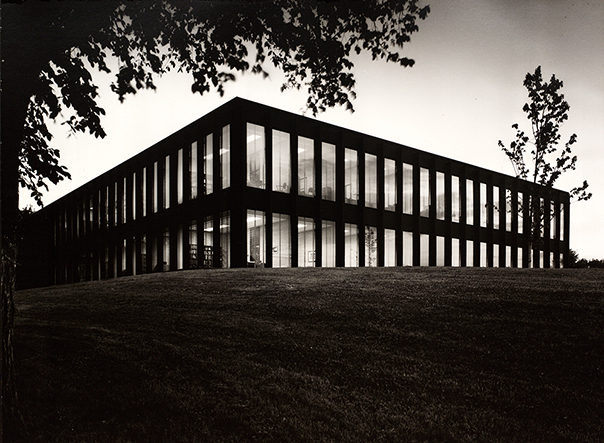 Mies van der Rohe, whose most famous work includes the Seagram Building in New York, the Chicago Federal Center, and the Neue National Gallery in Berlin, designed Meredith Hall (1965), which is home to Drake’s School of Journalism and Mass Communication. 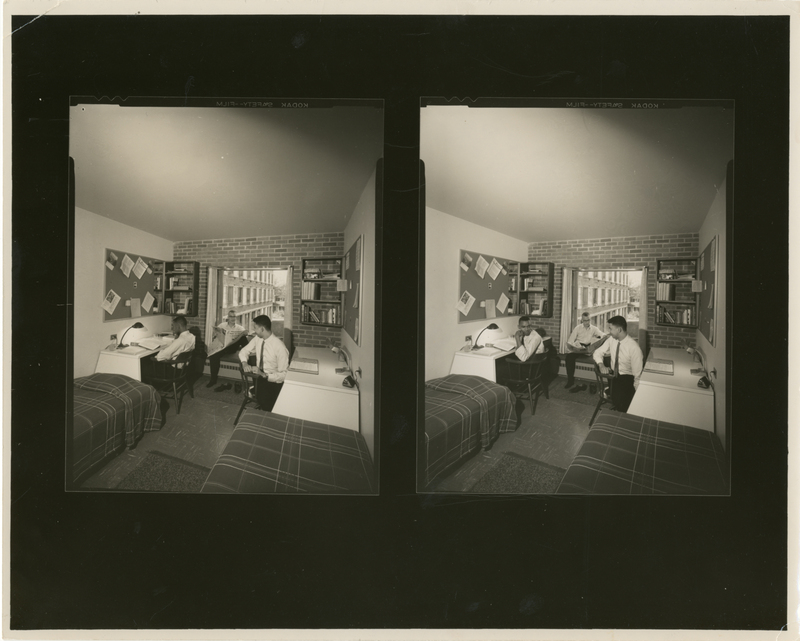 Best known for their work on the Washington Metro system, the Time-Life Building in Chicago, and the U.S. embassy in Ghana, the Weese brothers designed five buildings at Drake University. Harry Weese designed Goodwin-Kirk and Ross residence halls (1962); his brother, Ben Weese, designed the Harmon Fine Arts Center (1972) and Olmsted Center (1974). The display includes never-before exhibited plans and drawings selected from archives of the Chicago History Museum, Art Institute of Chicago, Mies van der Rohe Archive at the Museum of Modern Art, and Drake University. One of the exhibit’s centerpieces is a large-scale model of Drake’s campus, completed by Mies’ office in the 1960s to showcase the architect’s vision for Meredith Hall. The detailed wooden model was recently found in a dark corner of the attic of Sheslow Auditorium—buried in dust, forgotten for decades, but luckily protected by a glass case. Great architects have a vision for the way their buildings will be used. The people who live, work, and play in them often have other ideas. For example: Mies van der Rohe may have designed Meredith Hall’s wide hallways to accommodate foot traffic, but it also created an ideal environment for a former Times-Delphic student newspaper editor to pull her friends around in a red wagon. Harry Weese probably never imagined that students would use Goodwin-Kirk’s utilitarian rows of residence hall doors for a unique “musical prank”: slamming each door, one after another in succession, to create a wave of sound that raised unsuspecting undergrads from their slumber. 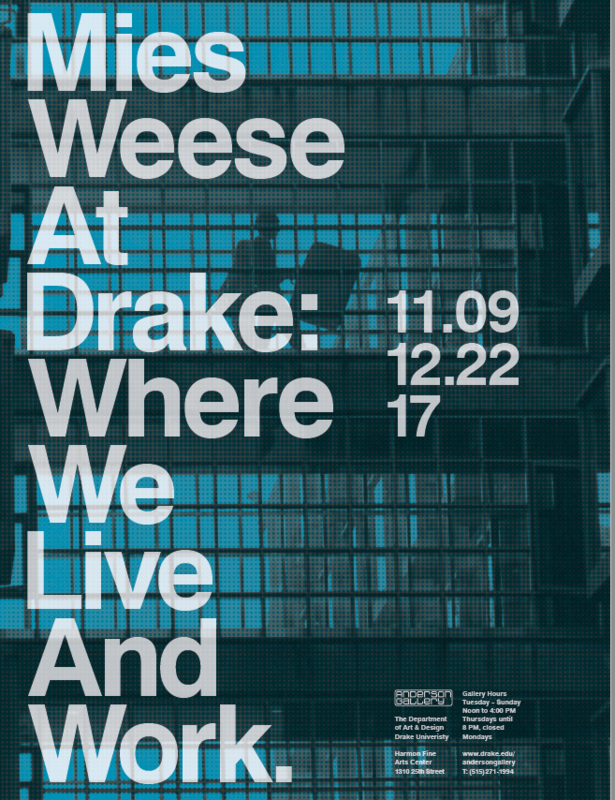 The Mies | Weese exhibition uses photographs, video footage, and letters from Drake alumni to contrast the architects’ visions with its inhabitants’ memories and traditions. The exhibition is supported by a major grant from Humanities Iowa, a state-based affiliate of the National Endowment for the Humanities, and by an art project grant from the Iowa Arts Council, a division of the Iowa Department of Cultural Affairs, and the National Endowment for the Arts. Additional funding has been provided by Friends of Drake Arts and from the Office of the Provost and College of Arts and Sciences at Drake University. Follow the exhibition on Instagram: @DrakeUniversityArchitecture. The Anderson Gallery is open Tuesdays, Wednesdays, and Friday through Sunday, 12 p.m. to 4 p.m.; and extended hours on Thursdays from 12 p.m. to 8 p.m. The gallery is closed on Mondays and during University holidays. The Anderson Gallery is located within the Harmon Fine Arts Center at 1310 25th Street, at the corner of Carpenter and 25th. For more information, contact the gallery at 515-271-1994 or visit https://theandersongallery.wordpress.com. The ITS Phishing Quiz is Coming Soon!